Bath Hardware and Accessories | Faucets, Vanities, Showers, Handles and More! Adding new bath hardware is an easy and cost friendly way to refresh the look of your bathroom. Now let’s think about your design goals. No bathroom is complete without the proper bath hardware. You may have beautiful furnishings, but you want to make sure that you have the proper hardware to accentuate the features of your furnishings. At HomeDecorAZ.com, we have all of your hardware needs covered so that the only thing you have to do is find the hardware that suits your style best! 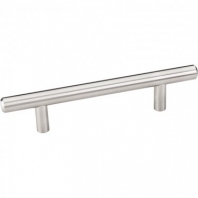 We carry a wide selection of bath hardware, including faucets, shower fixtures, towel bars, pulls, and so much more. You can find hardware that is decorative and unique yet practical. With products that display the ultimate level of quality craftsmanship, you can’t go wrong.